NTA UGC NET 2018 Answer keys, Recorded response scheet, Question Paper at www.ntanet.nic.in, NTA UGC NET 2018 answer keys to be released on December 31 / UGC NET 2018 December Exam Answer Key: The NTA conducted the UGC NET examination from December 18 to December 22, 2018 across 91 cities in the country. The examination was conducted in 84 different subjects and a total of 11,48,235 candidates registered for it. National Testing Agency(NTA) will be releasing the answer key of UGC NET 2018 on or before December 31, 2018. According to the an official from NTA has confirmed the news. Candidates who have appeared in the National Eligibility Test (NET) can download the answer key through the official site of NTA at nta.ac.in. The examination was conducted from December 18 to December 22, 2018, in two shifts. The UGC NET 2018 result will release by January 10, 2019. UGC NET is a test being conducted to determine the eligibility ‘only for Assistant Professor’ and ‘for Junior Research Fellowship and Assistant Professor both’ in Indian universities and colleges. This is the first time that National Testing Agency(NTA) has conducted the exam. Previously, UGC NET exam was conducted by CBSE. The examination this time was conducted as Computer Based Test and consisted of two papers. Candidates can check more details on UGC NET through the official site of NTA. 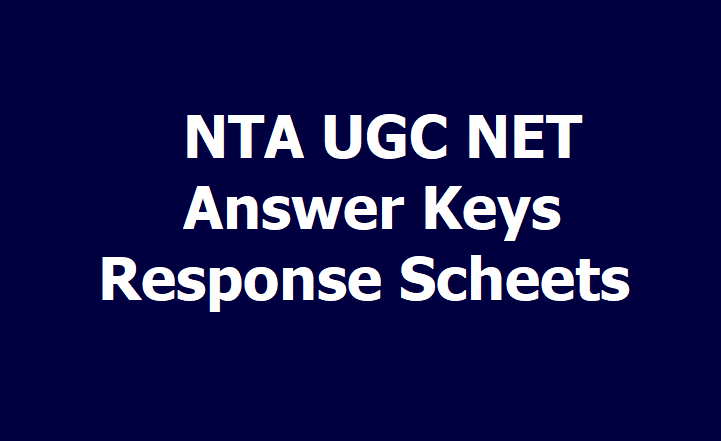 NTA is expected to release the UGC NET 2018 Answer Keys and Results soon on https://ntanet.nic.in/. NTA is expected to release the UGC NET December 2018 Answer Keys on December 31 and the UGC NET 2018 Results by January 10 at the latest. Those who will clear the paper will be eligible for a junior research fellowship or can be considered for the post of assistant professors. This year for the first time, instead of 3 papers, there were only 2 papers - paper 1 and paper 2. The candidates can challenge the record responses, answer keys through the official website. They need to submit an amount of Rs 1000 to be accepted through credit or debit card only. Step 4: Take print out of images of OMR sheets, recorded responses, answer keys and challenges submitted by them for future reference. UGC NET 2018. First, there were two objective type papers (Paper -1 of general nature and Paper 2 from the subject opted by the candidates among 84 subjects) while in earlier examinations of UGC NET there used to be three papers (Paper -1 of general nature and Paper 2 & Paper 3 from the subject opted by the candidates among 84 subjects). Similarly, in the Paper 2 containing 50 questions and Paper 3 containing 75 questions have been merged into Paper 2 containing 100 questions. The duration of Paper 1 was also reduced from 1¼ hours to 1 hour and for Paper 2 the duration was 2 hours. MHRD announced the next schedule of UGC NET which will be conducted under the newly formed National Testing Agency (NTA) in December. 2. In first session, the paper I was conducted for 1 Hour (from 09:30 A.M. to 10:30 A.M.). 3. In second session, the paper II conducted for 2 Hours (11:00 A.M. to 01:00 P.M.). 4. Paper-I of UGC NET 2018 July edition consisted of 50 objective type compulsory questions each carrying 2 marks. The questions were of general nature, intended to assess the teaching/research aptitude of the candidate. These questions were primarily designed to test reasoning ability, comprehension, divergent thinking and general awareness of the candidate. 5. Paper-II of UGC NET 2018 July edition consisted of 100 objective type compulsory questions each carrying 2 marks which will be based on the subject selected by the candidate. 6. All the questions of Paper - II were compulsory, covering entire syllabi of earlier Paper II and Paper - III (including all electives, without options).